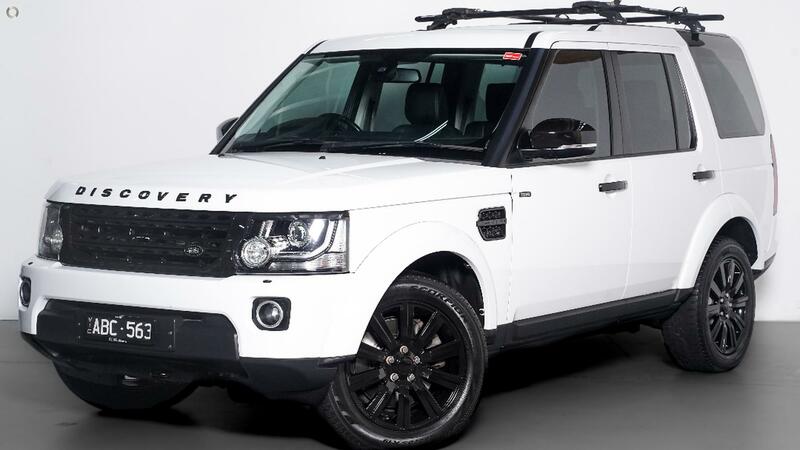 2014 Facelift Command Shift Update 7 Seater Land Rover Discovery TDV6 Twin Turbo Diesel Presented in Immaculate Condition with one Owner and Full Land Rover Service History. Finished in Fuji White with Soft Ash Black Leather Interior. Highly Optioned with: Factory Touchscreen Multimedia Screen Black Pack, Tinted Windows, Harman Kardon Premium Sound, Front & Rear Assist, Rear Camera, Factory Tow Pack, Bluetooth & Bluetooth Music Streaming. Plus many more... Finance available and trade in welcome. Price includes RWC, Warranty & Excludes all on road costs. Great buying @ $41,990.00!! !